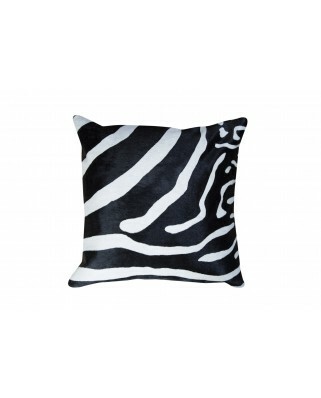 Natural cow skin, zebra print. 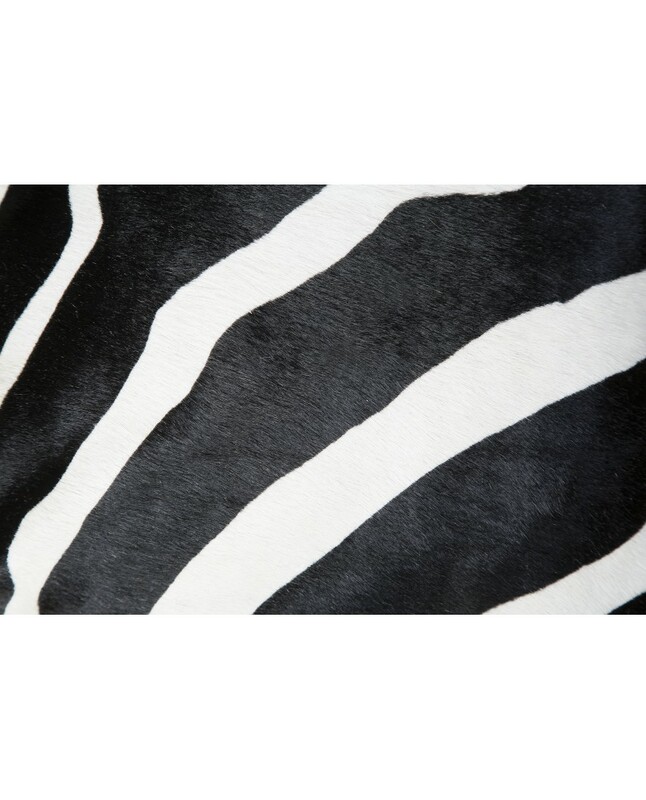 The cow skins used are of European origin and both the hair and the skin are of excellent quality. 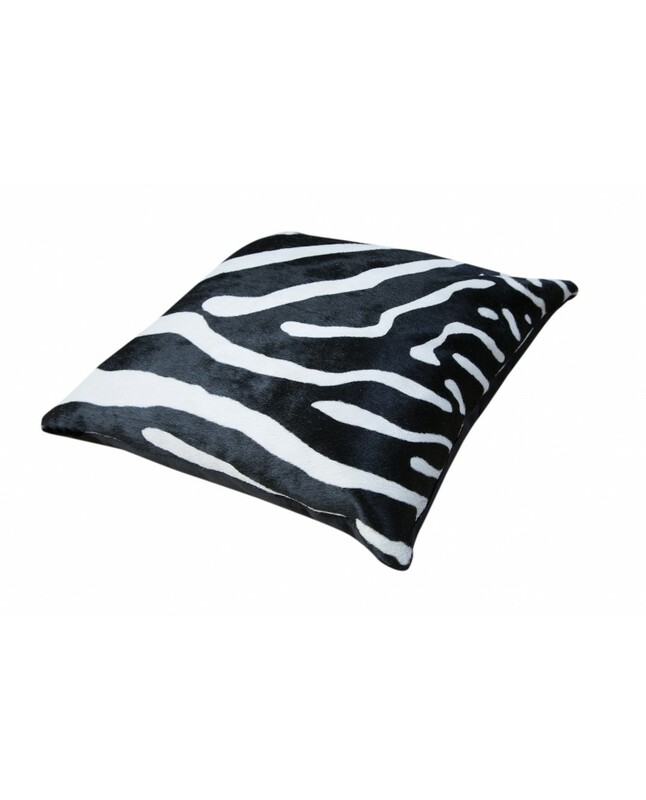 • If the cushion has a stain, clean it dry. Do not pour liquid directly on the skin.